Nothing will give you that immediate rockstar feeling quite like a chambray shirt – it defines understated cool. The chambray shirt is the one statement piece that never actually has to make a status because of its notorious connection with some rebels without a cause. Classic style icons like James Dean, Paul Newman, Steve McQueen and Bob Dylan all created this trend, whilst modern day style gurus David Beckham, Zac Efron, Eddy Redmayne and Jake Gyllenhaal, rocked this timeless piece and made sure it is here to stay. So how do you get the balance of function and style just right for this trend? We have put together a simple guide to making sure you never leave the house looking like anything but a rockstar. Chambray and denim can be found in both heavy and light weight styles. The heavier versions will seem more casual and be more durable and rugged. Higher thread count versions of denim will be thinner and light weight and seem more “dressed up” than lower thread count versions. Lighter weight chambray can have either a dressy or casual appeal. Some will be woven with a tighter weave and have a nice shine and dress up nicely, while others will have a very noticeable fabric slub and a looser, gauzier weave that is better suited for casual shirting. 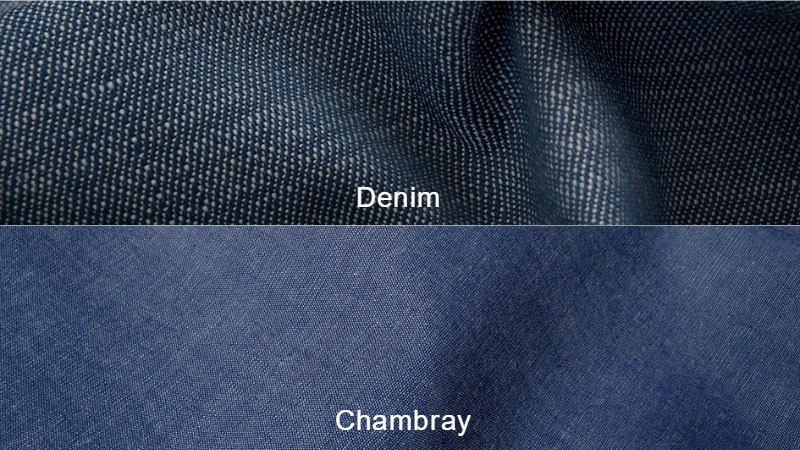 Typically, you will notice a lighter color to the underside of a denim fabric, whereas the underside of chambray will appear much more similar to its face side. 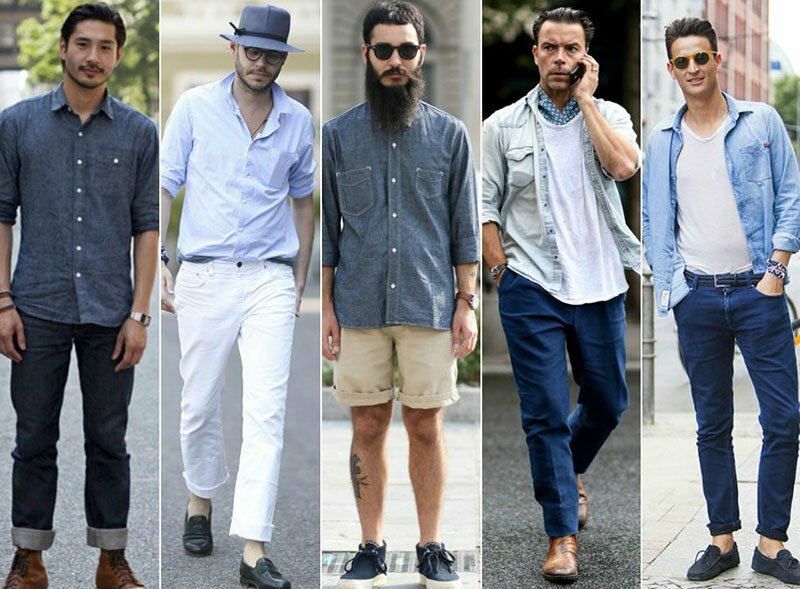 Chambray has such a cult status because of its off duty cool vibe, so keep it simple, keep it cool. Do not try and think too hard about how to style this item. It is best thrown over a plain white tee or paired with some jeans for that Texas Tuxedo look. However you decide to wear it, as long as you keep your look simple you will have that rockstar feel, trust us. Chambray does not have to be worn in that messy undone rockstar way. 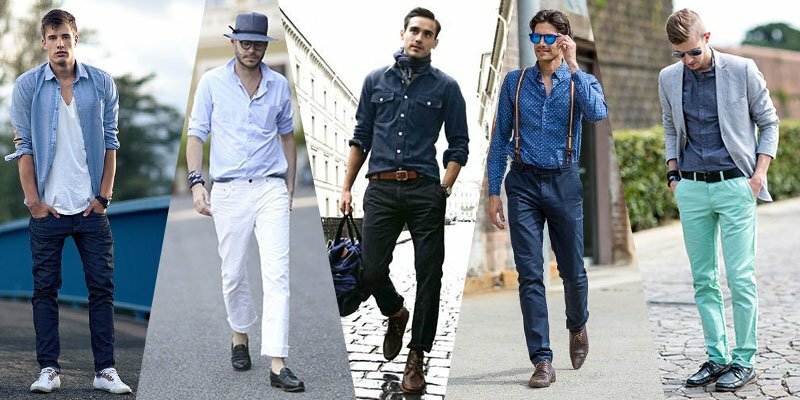 Full tuck it into a dark pair of pants or light coloured chinos and you are good to go to those casual lunches or summer parties. Chambray is not just about the shirt. Recently, because of its popularity and versatility, it has expanded into the world of suits. The light blue weave makes a fresh alternative to traditional suit colours and can be less formal. 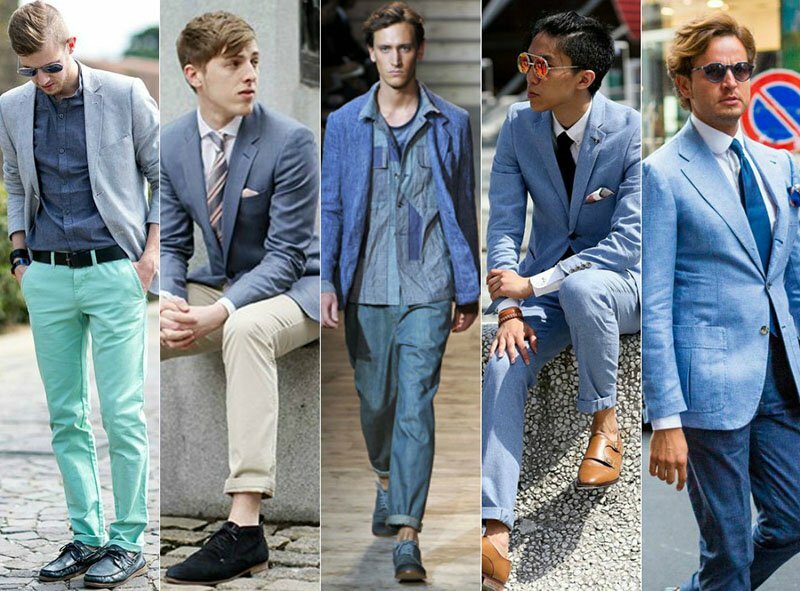 Think of chambray like denim and use it as a neutral base allowing you to play with suit and tie combinations. The beauty of chambray is that it is transeasonal. By investing in some quality pieces, like a heavy feel shirt and a lighter weight one, you will have all your bases covered every season. Wear it under a coat for an extra layer, or wear it open as a coat itself. Chambray has all expanded into accessories. Think ties, shoes, pocket squares, you name it! Give you look that overall cool finish with chambray accessories, just don’t go too overboard!